We are living in an age when our workgroups are more diverse than ever before, and there is an increasing need for flexible global leadership across borders and cultures. This book focuses on you, on what you can do to develop and adapt your behavior for all cross-cultural situations. It provides guidance, insights, and personal examples to motivate, inspire, and reward you by taking specific actions to develop your cultural intelligence. However, this is not a book you can skim through hoping to pick up a few pointers. The perspectives it offers are incremental; the vision it presents grows broader and deeper the more you read. 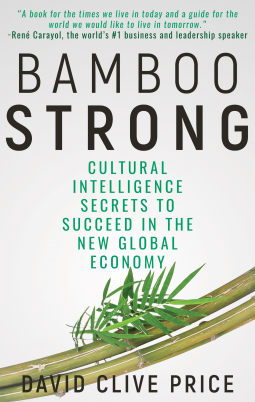 David shows us that to become successful Bamboo Leaders we must develop both resilience and flexibility, just like the bamboo bends with the wind but is rooted in strength. Transformation is achieved through daily practice, discipline, and above all by embracing diversity in our daily actions without losing our authenticity.